I was addicted to dungeons and dragons. If the first one wasn't bad enough the treasure of Tarmin with it's 3D dungeons was enough to keep me glued to my TV for hours and hours on end. I remember getting down below level 99 just to see what happened. Of course that didn't compare to the first time confronting the minotaur. I was also lucky enough to snag the best Imagic games new from Kiddie City for 5 bucks each. Like Dracula and trucking. 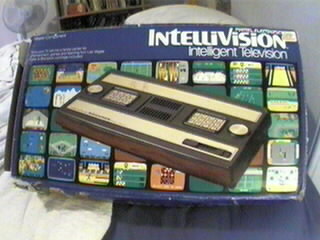 Since then I have picked up an intellivision II and another first model. My original died and was traded for parts. 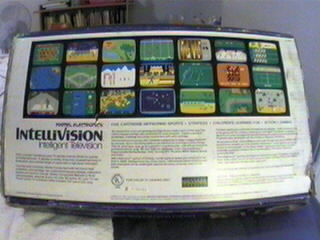 I am curious to know why there are no real emulators for the intellivision except for the ones put out by the original programmers. You got to wonder how hard are these things really to program or understand.